This epiphytic fern grows naturally in my farm. 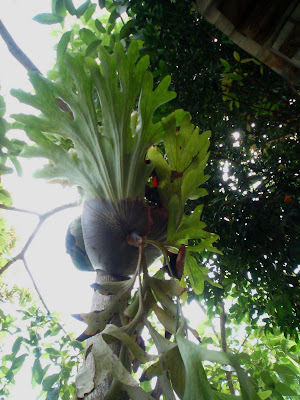 This species is called the Stag's Horn Fern ( Platycerium coronarium). This particular piece was taken from the jungle and transplanted by me at a small tree by my verandah. It has been growing well since two years ago.